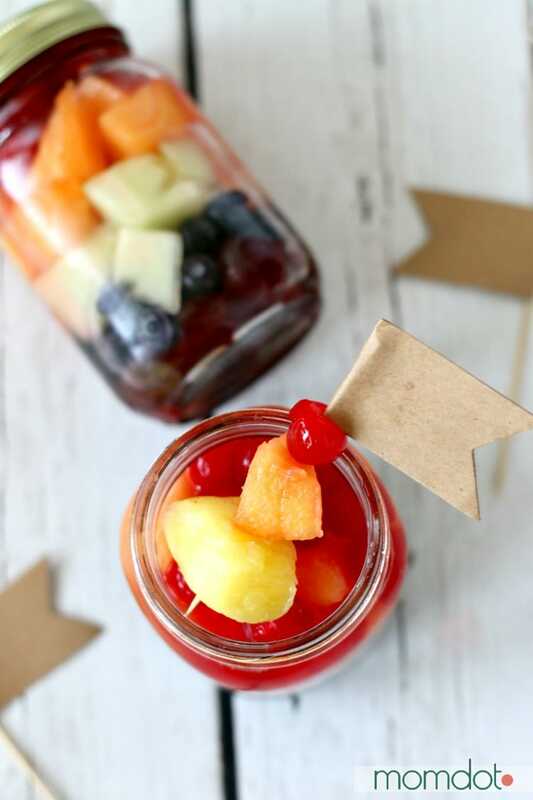 Home » Recipes » Boozy Fruit Jars…cause why not. 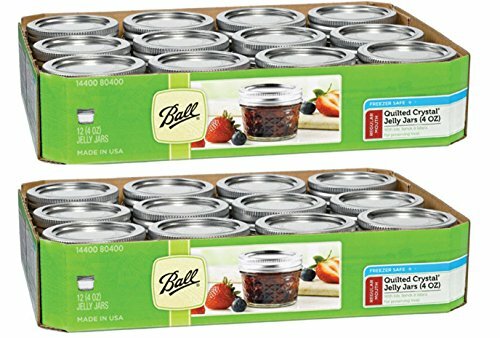 You may be asking yourself “what is boozy fruit” and “what is it good for.” What you should be asking yourself is “what is boozy fruit” and “how can I get some?“. Well I’m gonna answer alllllllllllllllll of that with these mason jar Boozy Fruit Jars! And rum in your fruit just expands that fun and also makes you look fancy. 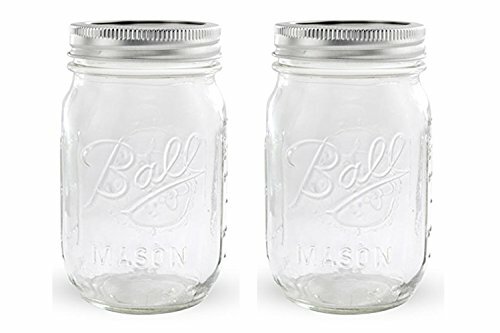 Mini Mason Jars – if you get these too big you will be pouring a LOT of alcohol. 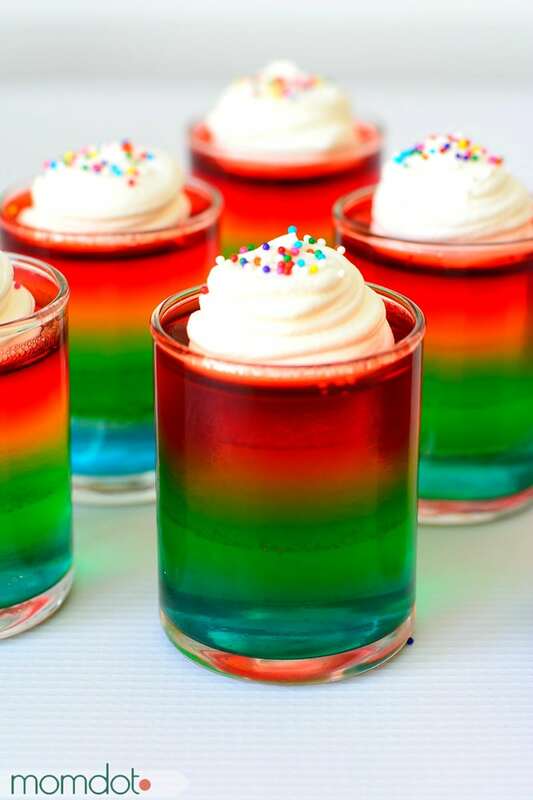 Mine are somewhere in the middle of full size alcoholic and shot glass. I got them at Hobby Lobby. 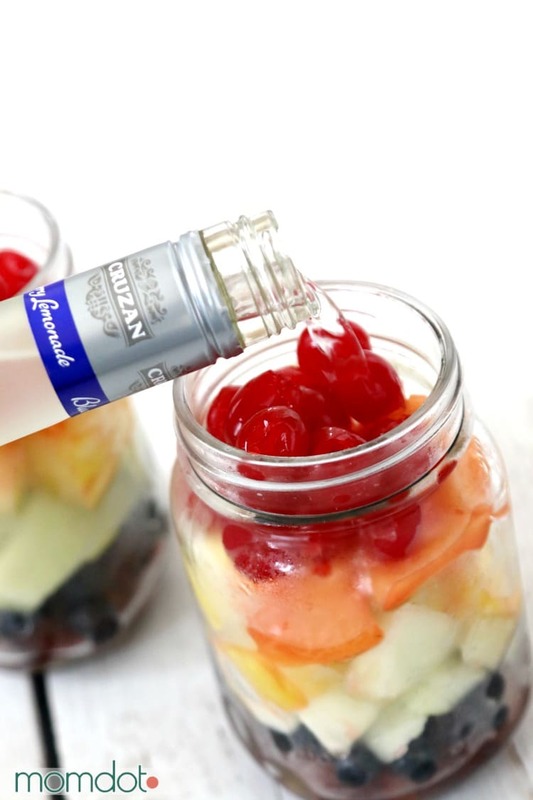 Rum– I chose rum because it just pairs well with fruit and there are SO Many flavors. Walking through the liquor store was like a kid in a candy shop. Did you know they have strawberry rum? Peach? Birthday cake?? 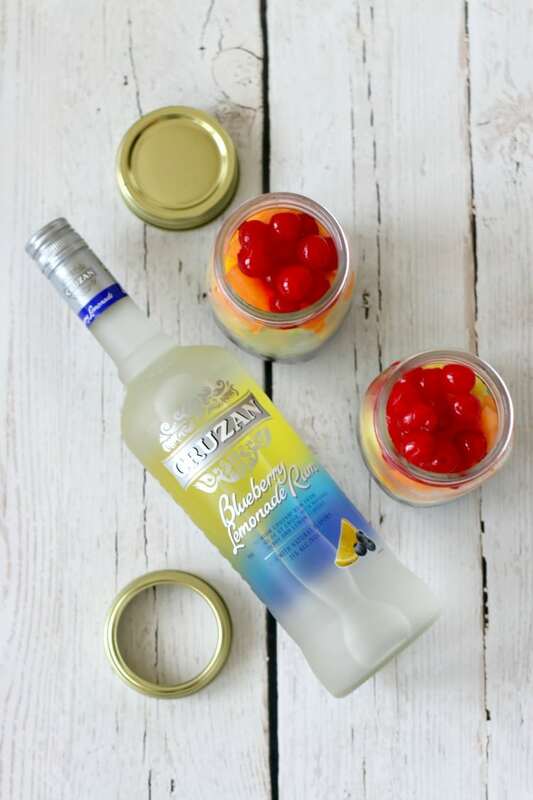 I chose Blueberry Lemonade Rum by Cruzan. It’s delicious. 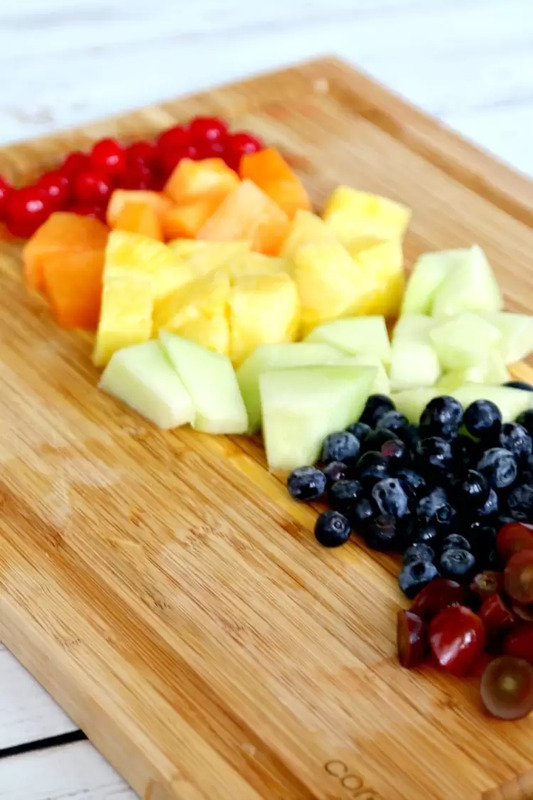 First, Cut up your fruit. 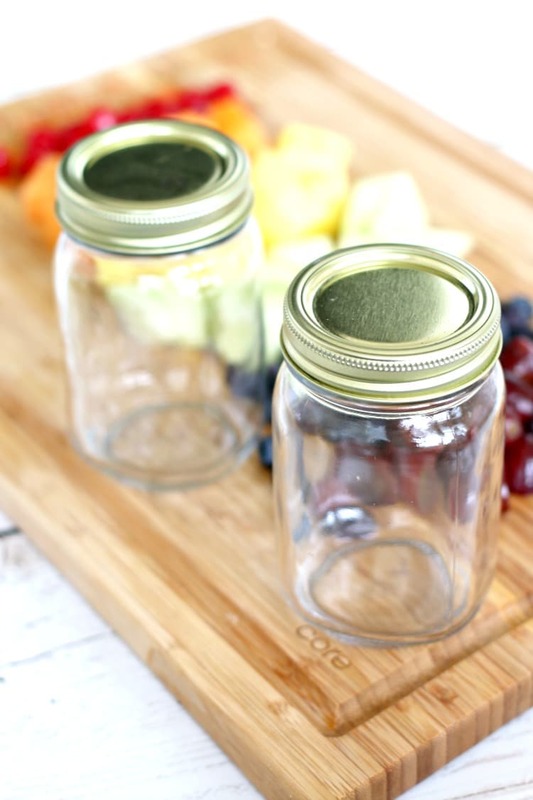 If you are going to DRINK from your mason jar , you are better off using smaller fruits. If you are going to take the fruit out and eat it off a toothpick, you might want to use bigger chunks. For fruits like grapes that had a skin, I cut in half to make sure I was maximizing the alcohol soaking in. 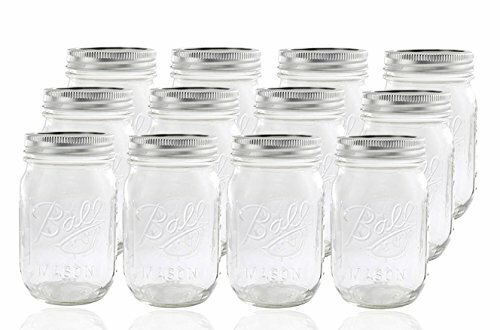 After your jars are filled up, just pour your favorite alcohol like rum, vodka or even a Moscato! I have no idea how long this will keep, but I’m not sure you should be worried about having any left overs either. First, Cut up your fruit. 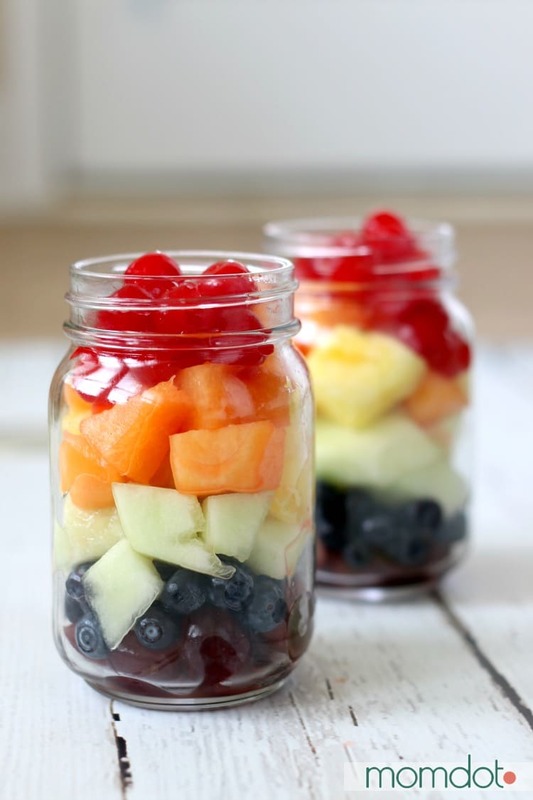 If you are going to DRINK from your mason jar, you are better off using smaller fruits. If you are going to take the fruit out and eat it off a toothpick, you might want to use bigger chunks. For fruits like grapes that had a skin, I cut in half to make sure I was maximizing the alcohol soaking in. 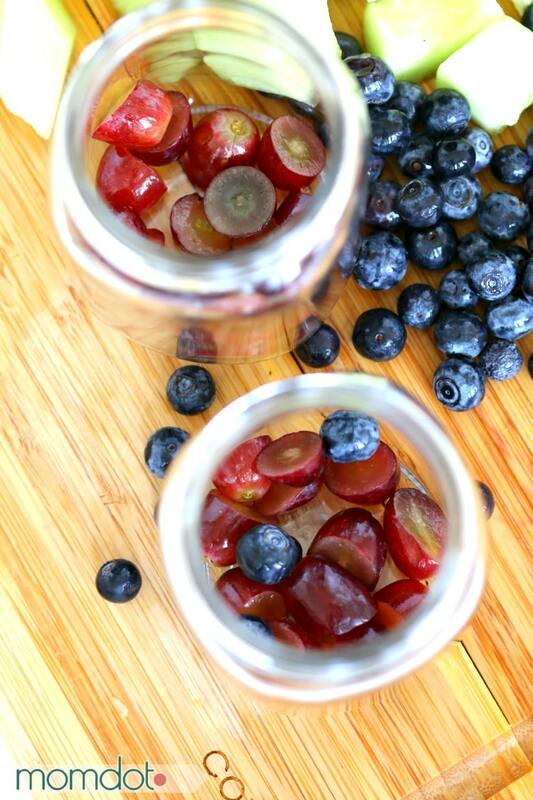 After your jars are filled up, just pour your favorite alcohol like rum, vodka or even a Moscato! Now you can serve the prettiest alcoholic drink ever and pretend because it has fruit in it, its good for you. Just remember, you have to get up in the morning…and parent.